Why is the 40th birthday a big one for women? If we’re fortunate enough to do so, we’ll eventually reach the age of 40. It’s inevitable. Time keeps moving on and doesn’t wait for anyone, male or female. Somehow, though, the Big 4-0 seems to be a bigger milestone for women than it is for men, who stereotypically get more distinguished with their wrinkles and grey hair in comparison to women, who just get old. My 40th birthday is just a week away, and I’ve been psyching myself for it over the last few years, probably since my 37th which turned out to be the tough one for me. 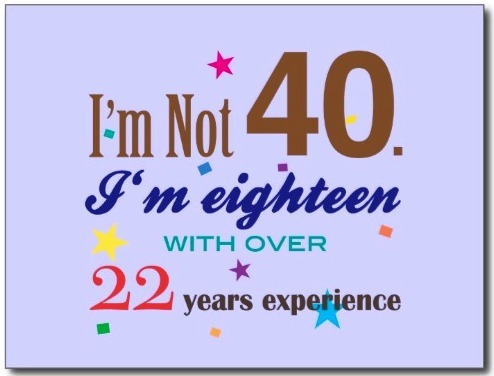 I told myself that I was going to be positive about my 40th birthday when it comes. I was going to do something big to celebrate the occasion. Do something I haven’t done before, like take time off from work and take the trip of a lifetime to Ireland. Maybe go together with my mother, who’ll be turning 60 just four days after I turn 40, and make it a dual celebration. Sometimes, however, things don’t go exactly as planned. My mother is still recovering from her surgery and isn’t up for long excursions; I got married this year and am all pooped out from wedding festivities and the traveling associated with them. But don’t think these changes have put a damper on things. Women of Generation X, to which I belong, are increasingly viewing the 40th milestone as an opportunity to celebrate their lives and being at a comfortable age–not too young and immature but not too old for the rocking chair. We’re feeling more at ease and secure in ourselves; we’re not easily rattled by what other people think of us. We’re starting to live our lives the way we want and not the way others expect us to live them. Best of all, we’re still vibrant with much still to offer to ourselves, our families, our friends, and society. Taking all these things into consideration, you bet the 40th birthday is a big one for women to mark. So if you’re wondering what I’m doing for the Big 4-0, it’s anything I want. And I don’t care if some people think some of the things I’ll be doing are silly or crazy (like square dancing with my husband). I’m going to enjoy sleeping in, reading a book, hanging out in my pajamas, having a quiet dinner out, and doing whatever else strikes my fancy. In other words, I’m going to have some fun and enjoy life. Why can’t we all take a little time to enjoy life sometimes, and not just on milestone birthdays? Why does fall feel like the shortest season? 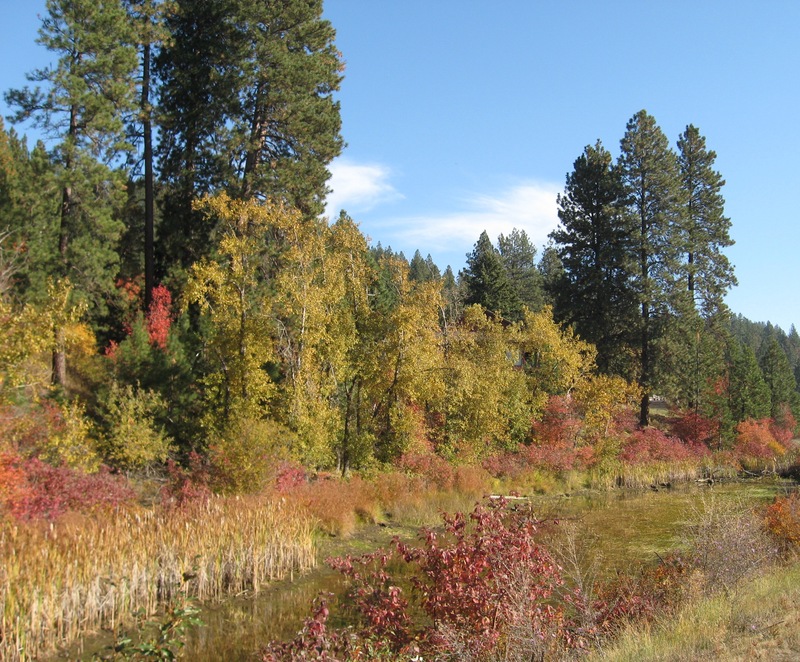 About two weeks ago, my husband and I rode our bikes for several miles on the Trail of the Coeur d’Alenes in Idaho. We started our ride in the small, quaint town of Harrison and pedaled south on the trail that followed the lake’s edge. It was an absolutely perfect fall day, one in which nature was displayed at its finest. The lake was calm and smooth as a mirror, and the leaves were in full color, exhibiting magnificent golds and oranges, reds and browns. As for the air, it was fresh and crisp, but not too cold, in addition to being fragrant with trees, bushes, and clean water just steps away. The week before we set off on our bike ride, I felt a sense of urgency. I was monitoring the trees near our home, watching their leaves transition from deep summer green to drier, lighter tones. I was trying to sense when they were just about to reach the peak of their autumn colors, that ever so brief period just before they shed their apparel and adopt a more stark and dingy look. I had a feeling that if we were going to enjoy fall at its best, it was going to be that weekend. Sure enough, it was. The week after we hit the trail, the temperature dropped, the winds escalated, and the trees were transformed into semi-skeletons overnight. Maybe it’s just me and my perceptions, but summer and especially winter seem to last a spell without any major changes week to week or even day to day. Once they arrive, they linger lazily. Only at the start and end are changes detectable. Spring may not feel as long as summer or winter, but it still somehow seems longer than fall. Perhaps it’s because we’re heading into warmer and better weather after spring, unlike fall which ultimately heralds the beginning of the dark, cold, and snow. The obvious and sudden changes in the landscape encourage the impression that fall is the shortest of the four seasons even though it’s equal in time with the other three. If there’s one thing that fall teaches us, it’s not to take it for granted. In order to really enjoy and appreciate it, we need to savor and cherish each day of it as its own special entity. With the days of summer and winter (and even spring to a certain extent) so alike that they seem to run into each other, it’s easy to become too comfortable. We start putting off things to the next day because that day will be similar to the one that precedes it. Not so with fall. If you don’t take each day as it comes, you’ll end up missing a lot in a short time. Why can’t we take notice of the “slower” moving seasons as much as we do of the fall? Why do socks like to wander? They have issues with commitment and rarely stay together with their mate. They have no problem pairing off with others and getting dirty, really dirty sometimes. If they could talk, the stories of their conquests would be more interesting than most reality TV shows. You know what I’m talking about–socks. The other day I was doing my laundry, and mind you, I wasn’t washing loads of socks. Just two pairs with my load of darks. That’s four socks total. Somehow, though, one mutinous member of the group wandered not once, but twice. The nerve! I first took heed of the rebel when I emptied the dryer and there were only three socks. I knew it couldn’t hide forever and sure enough, as I was putting towels into the washer, there was the troublemaker flattened on the wall of the drum, hiding out of plain sight. To punish it for straying, I made it go through a second round of the wash with the towels. I imagine it wasn’t pleased with me for putting it through such agony, because as I was folding the towels out of the dryer, the elusive sock was nowhere to be found. The stubborn thing wandered off a second time! So, retracing my steps to the laundry room, I eventually found the rascal hiding among a crumpled pile of curtains waiting for their turn in the washer. I’m sure you’ve been through a similar experience with your own socks when you launder them. Socks are noncompliant articles of clothing that constantly seek their freedom in the bigger world of your house or apartment. And surprisingly, they are possibly nature’s way of keeping our minds sharp and our muscles firm. Think about it–if we didn’t have missing socks, would we be working out our minds quite as much by wondering where they wandered, or exercising our bodies as often by making multiple trips to the laundry room? 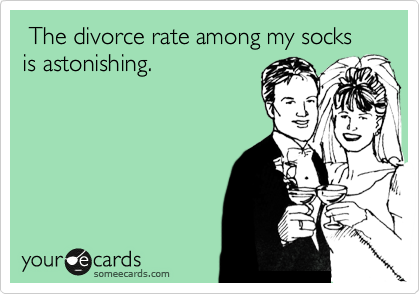 You’ll have to agree that missing socks help prevent some of us from turning into total couch potatoes. Not all of us, though, buy into this theory of AWOL socks keeping our minds and bodies fit, and some have even tried to develop different strategies to prevent our socks from leaving the pack. Some pin their cuffs together, roll them up, wash loads solely of socks, or count the number that go in the wash. Others have become rather entrepreneurial, forming businesses that sell sock clips and mesh laundry bags. Several sock manufacturers, such as Ralph Lauren, even put their logos on the sides of socks to differentiate left socks from right socks, which is supposed to aid us in keeping track of the darn things (not to mention advertise the companies). What I want to know, however, is with all our many advances, why can’t we come up with something simple like a better way to keep our socks clean and honest?